Cannabis cotton candy is quite possibly the best — or at least the most fun — way to get an adult sugar high, no? Vanessa Corrales launched B-Edibles in February, focusing on candy floss. Since then, she’s placed in every edible competition she’s entered, including first place for Best Candy at Edible Sesh in Los Angeles. Vanessa gives us some insight into the newest trends in marijuana edibles. 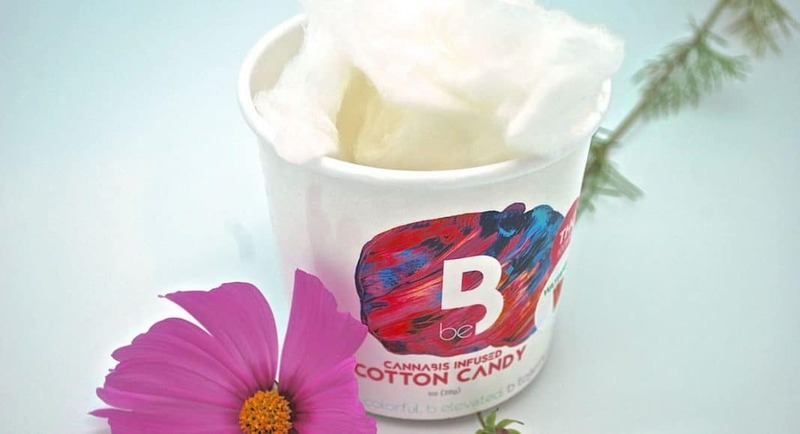 The cotton candy is made with organic cane sugar and lab-tested C02 oil. Corrales recently launched a sibling product: sugar cubes. She makes both of her edibles with infused oils and is working on cubes made with sugar substitute that diabetic and cancer patients can use. I chatted with Corrales to find out if she has any tips for those interested in experimenting with edibles in their own kitchen. What were you doing before you started making edibles? I was the General Manager for a Coffee Roasting Company that has 2 locations here in San Diego. What’s the key to making really great edibles? Don’t make anything you wouldn’t eat yourself! Plain and simple. Honesty and integrity always win! 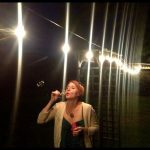 I’ve had a cotton candy catering company for a little over a year now but I had no intention of infusing cotton candy. I was looking for an edible that would allow me to stand out from the crowd as well as help me break the ice when it comes to talking about cannabis. Cotton candy does just that! It’s not always easy to talk about cannabis where I come from so colorful and nostalgic treats are helping me break the ice before I start introducing the idea of marijuana. What kind of machine do you use to make the candy? We use a specific industrial machine that we had made for us that helps us regulate temperature so we don’t burn off our THC when spinning sugar. It’s magical, you can see flavors and taste colors! How is the high different than other edibles? If you’ve ever had cotton candy you know that it melts and melts fast which is why it acts as a sublingual when consuming this edible.Your body processes it in your mouth and not in your stomach so you can feel the THC effects in a matter of 20-30min. We make it very easy to micro dose when it comes to edible sugar by informing our patients the THC levels in each gram of sugar. With our cotton candy we suggest to start low and go slow, pinch by pinch. How do you suggest consumers use your sugar cubes? How do you prefer to use them? I prefer to use them with an herbal tea before I go to bed. When I have a headache I let a cube disintegrate in my mouth instead of swallowing 2-4 over the counter pills. I have patients that add them to smoothies or a protein shake for sore muscles or aching knees. Do you have any tips for someone who might want to try making their own edibles? It’s not hard going organic and using only natural ingredients. It might take a bit more research and your costs might be a few cents higher but it will all pay off at the end and trust me you will be able to sleep well at the end of the night knowing you are producing an edible that has no artificial ingredients. Related Story: Marijuana Microdosing: What Is It And How Do I Do It? If you are true to what you believe everything will fall into place and all the questions will be answered one way or another! Do you have any tips for home cooks dabbling with oils? Make sure your oil is lab tested in order to know what you are working with. Clean and safe environment for cooking i.e., no kids or dogs around or other food. Lab test your products even if you are making them at home, remember we all started at home! You never know you might be the next big edible queen/king! What’s the new trend in edibles?